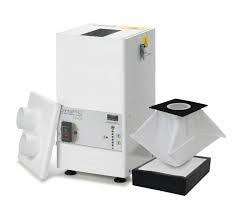 A High Quality, Low-Maintenance Portable Dust Collector Designed for Removal of Dust from Dental Materials Processing, CAD/CAM Milling & More with Dual Intake Ports, Advanced Long-Lasting High-Volume Bag Filter and HEPA Filter for Quiet, 99.997% Removal of Dust and Particles as Small as 0.3 Microns--all at a Cheap Discount Price with Free Shipping! BOFA’s DentalPRO 400 under bench dust extraction system effectively removes smaller particulates generated during the hand finishing of dental implants. The DentalPRO 400 is ideally suited to manual bench top applications, where technicians need to be able to work without restriction, but in the knowledge that dust particles are being effectively removed to maintain a safe working environment. The high vacuum blower used in the DentalPRO 400 is brushless, provides strong 235 CFM airflow and designed for longer continuous running before requiring servicing. 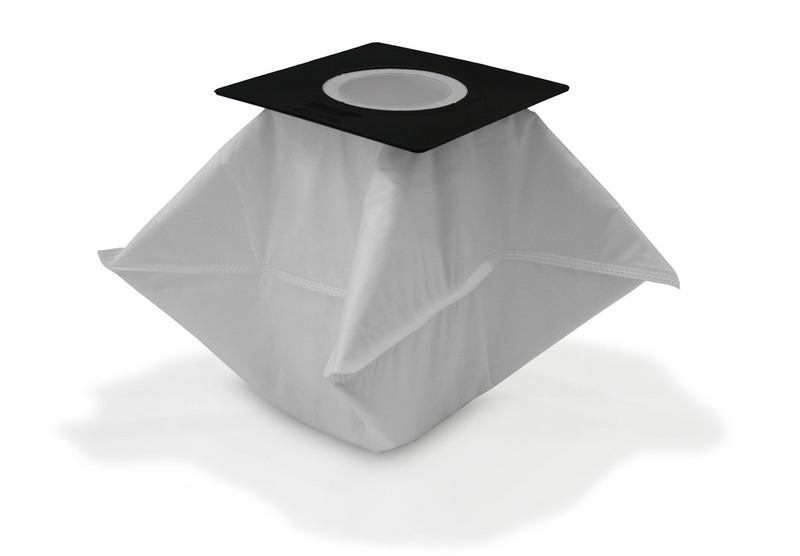 The bag filter has a large 6.4 liter capacity and the HEPA filter is very high efficiency. 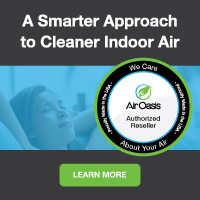 This multi-user system combines maximum operator protection in a small footprint: it is an easy to operate unit with low running costs. 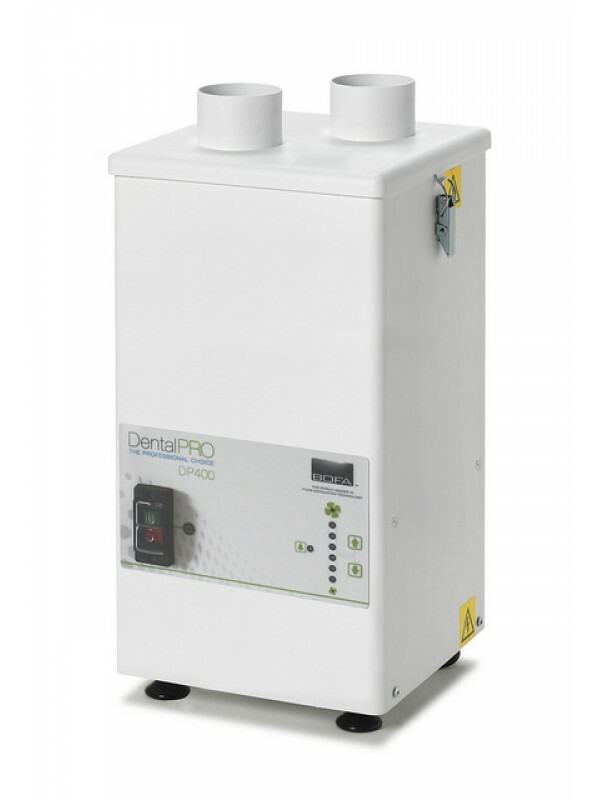 Order your DentalPRO 400 Dust Collection System here at a discount online sales price and enjoy quiet, dust-free working conditions in your dental manufacturing laboratory or other facility! In addition to higher performance, better, longer lasting filters and lower maintenance, BOFA provides the ultimate in value by ensuring quality and long life by sending each and every product through their rigorous 17 step SureCheck quality control system. 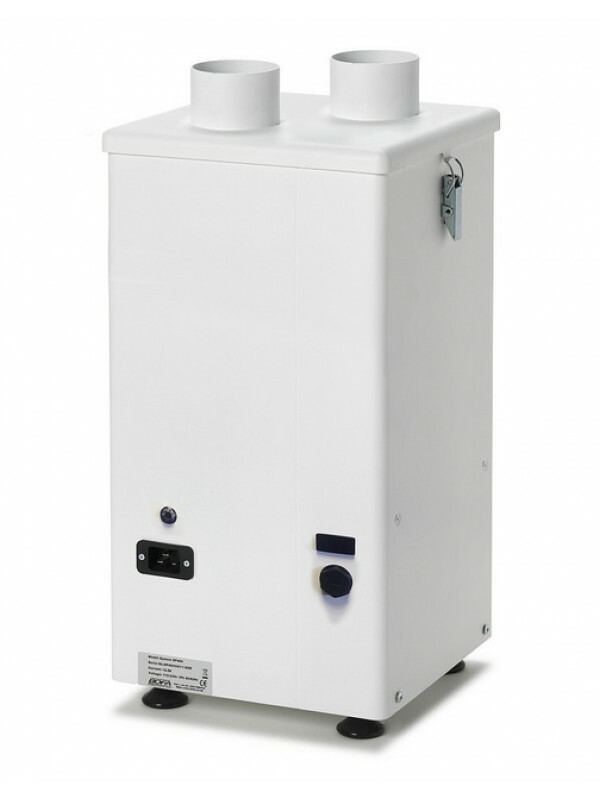 So if you want the very best, light duty fume and dust extraction system designed specifically to work with laser systems, order your BOFA Dust Extracation System today for years of trouble-free dependable, consistent performance.